The organ donation is the art of transferring the organs from one person in order to be transferred into the body of another person who is in need of them. Usually the organs are harvested only after the death of the donor. But though not common, some of the organs can be harvested from the love donors in order to be transferred into the body of the recipients. This will provide the chance to save the life of another person. The permission of the individual donor is needed in order to transplant the organ to the body of the recipient. If the donor is dead then the consent of their family members is needed. The organs which can be transplanted from the dead donor are the kidneys, liver, lungs, pancreas, heart and intestines. There are several governments that encourage the citizens to enforce the organ donation. There are many factors that are taken into consideration in order to make a person the right recipient for the organs. It has been said that over the years the people have become aware of the advantages of donating the organs. It is has been considered to be best for the individuals to discuss the benefits of the organ donation with the doctors to be relieved of the questions that arise. 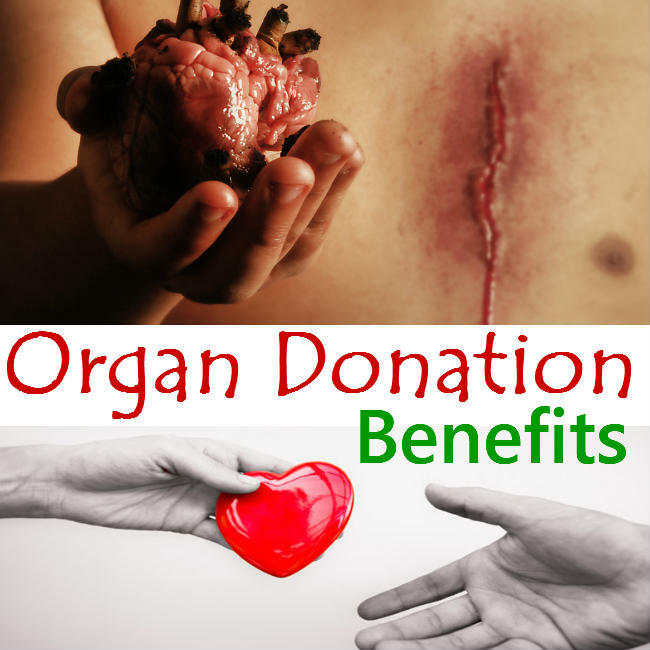 This article elaborates the benefits of the concept of donating the organs. Based on the understanding of the people, the pros will certainly outweigh the cons. But the bottom line is that the organ donation will help to improve the lives and certainly give the recipient a second chance to live. Some of the benefits of the organ donation are given below. The members of the family will be totally devastated if their beloved ones die. They will do everything to get back the life of the dead person. If the cornea, kidney or the heart of the person gets damaged, it will be very difficult for the family members to get it. So if any donor comes forward to donate the needed organs, then the family will be consoled and comforted. They will get some rest thinking that someone has come forward to help them in their situation. In case if the person dies, then his vital organs can be removed with the consent of the family members. This can be used to save the lives of the other people who will be in need. It has been said that normally a single donor can save up to eight lives and by donating the tissues and the eyes they can save up to fifty lives. Often the relatives of the donor will feel blessed to know that the organ of their deceased one is being used to save the life of a young person. They will feel happy to know that some good has been done from the tragic life situation. There will be a nice interaction with the members of both the families and it will be consoling to both the families. The people who have recklessly been the victims of any damage to the internal organs can have a new lease of leading the lives again for the second time. It will help them to rectify the errors that they have previously committed and lead a better life. There have been many people who have made use of the second chance to lead a careful life. To some people, it will mean that they will be again able to see and for others their excretory system of the body will be enhanced by the transplant of the kidney. There have been people who even without the organ transplants were able to lead their lives with the use of the machines. For instance, in the case of the kidney failures, the people will be fitted with the dialysis to remove the toxins from the body. But will be cumbersome to the daily activities of the person. Therefore if they move to the organ transplants, then they will be able to lead the normal lives as before with no enhancements needed. Thus they will be able to perform some routine works with which they will be contented in life. Donating the organs will make the people be very happy to know that has saved the lives of many people and also that it has been due to the act of the generosity of the donor. Partly it means that the organ donation will no longer rely in the treatments that are costly enough to survive. There are certain organ transplants that are very less expensive in the course than the continuance of the medical assistance. This is particularly true in the transplants of the kidneys. But there are also many transplants that cost more. There will be no difficulty with the people arranging for the money that is involved in the surgery to transplant the surgery. There are also many insurance companies that will make over for the expenses of the organ transplant surgery. There are many hospitals that will arrange for it. There are many people who consider helping others in need to be their divine responsibility to please the higher spiritual force. There will get a satisfaction in helping the people to survive in their lives. Watching them leading the normal lives will also satisfy the donors and their families beyond limits to know that the organ of the deceased person lingers in the world still. There are no limits to set the people becoming the donors. It is also a nice advantage to prove that there are no costs involved to donate the organs. This is because the costs that are involved are being covered by the family of the recipient. Often the cost is covered by the organization of organ recovery. So it has become very easy to save the lives for free of cost. It’s a nice feeling to watch the recipients of the organs of the donors live a happy life. The examples of the living donations are often seen in the case of the friends or the family members needing the organs. Though there are many risks associated with the undergoing of the organ donation, but most of the organ donors have not been found with any problems that affect the health adversely. The limits for the single donors are they will be only able to donate the single lobe of lungs, kidney, parts of the pancreas and a section of the liver and not more than that. For a person to become a live donor when still alive is possible nowadays. They can donate their organs to their friends and the family members. Therefore it has become possible for a person to donate their organs after becoming the live donors by registering themselves on a complete humanitarian basis. There are also many illegal organ trafficking that occurs in the world and the WHO has estimated them to be one-fifth of the total amounts of the donations of the organs that are illegally acquired. All they have to do is to sign a card with the donor registry directly. The back of the driver’s license can be also signed. The children should have the consent of their parents. If any donor donates his entire body, it will be used by the medical students who use it to practice the medical surgeries. The benefit here is that the medical students can learn to become skilled in the art of saving others’ lives. This will certainly turn out to become an invaluable experience in their career. It will never have no sufficient triggering of the human body. It has been said that the single donor can save up to eight people and fifty others. With the advancements in technology the doctors can harvest the organs and the tissues from the dead donors. This will also help to save many people. The family of the deceased person will be also consoled. There is a huge demand for the need of the organs in almost all parts of the world. Therefore the government has set up many registered camps and directories at which the organs can be donated. The list of the organs that are donated is very short as nobody is able to donate faster. This is because the donor must satisfy some medical criteria that will be conducted to check if they are free from the diseases. The concept of organ donation will help to enhance the medical research and scientific experiments. This will indirectly save the lives of the people. This has even allowed the scientists to comprehend the diseases and their effects they will have on the human body. The further advancement into the study of the organs with the help of the organ donation will help to find some treatments for the medical diseases that are still being considered.